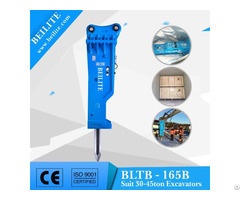 2.Excavator List for BLTB100 Side type hydraulic hammer. (1) Easy control, friendly used and easy position make it more convenient to excavator work. (2) The large area of outside bracket can be used to move the broken stones from here to there during working. 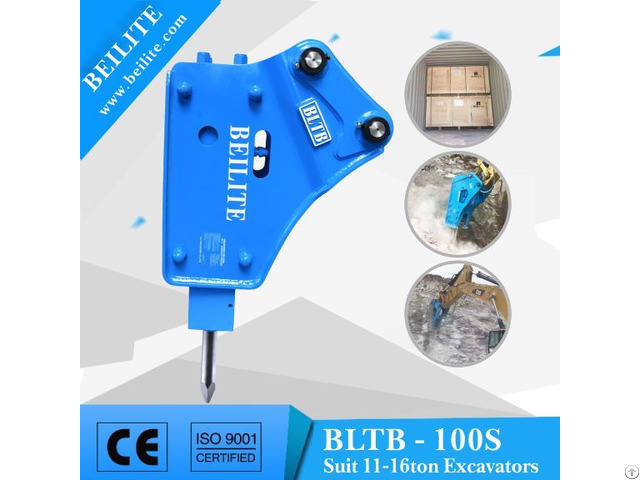 4.Payment terms for BLTB100 Side type hydraulic breaker for excavator. (1) T/T payment at sight-30% of payment in advance, and 70% of payment before shipment. (2) With large quantity of goods in stock, we can send goods to customers fastly and delivery time is quite short. 6.Attention in using BLTB100 Side Type hydraulic hammer for excavator. (1) Do lift things with the breaker. Lifting materials by hanging wire in the bracket or the chisel not only causes damage to the breaker but also is very dangerous when operating. Sincerely welcome friends, partners to join us to create a prosperous future to create a prosperous future !! !